There is rot in our youth sports culture and our children are being harmed. I’m not talking about USA Gymnastics and thecrimes of Larry Nassar. 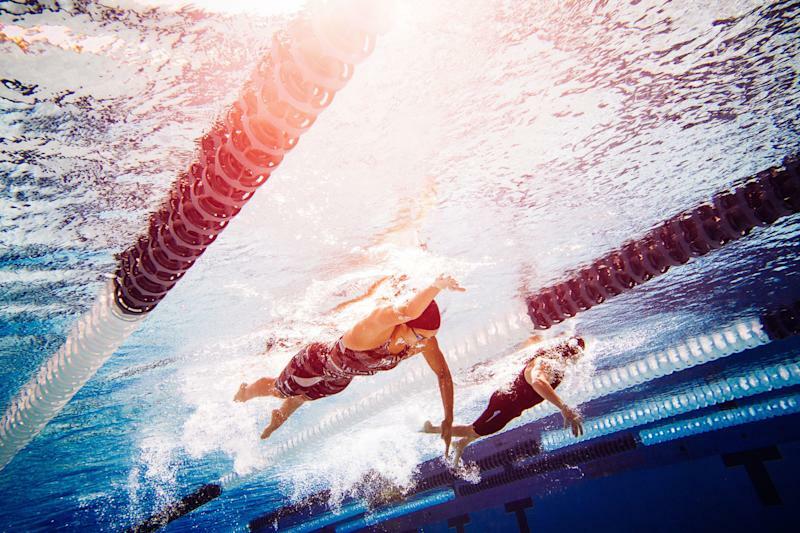 No, there’s alsotrouble in the waters of USA Swimming― and we’re barely paying attention. Last month, the Southern California News Group publishedan investigative featureabout decades-long sexual abuse problems in USA Swimming. According to SCNG, over the past two decades, “at least 252 swim coaches or officials have been arrested, charged by prosecutors or disciplined by USAS for sexual abuse or misconduct against individuals under 18.” There have been at least 590 alleged victims. Some were preschoolers at the time. We just went through this with USA Gymnastics. But generally speaking, the abuse of young athletes by adults in the sports worlddoes not receivethe kind of wall-to-wall, sustained coverage that the magnitude and severity of the problem suggests it should. We have more outrage fordopingthan we do for the abuse of underage athletes. And the knife in the heart is that the next investigative feature could be yet another report onUS SpeedskatingorUSA Taekwondo, both of which have a history of looking the other way on reports of gendered violence. Only a few days ago, a federal class action lawsuit was filed against aUSA Volleyballcoach, alleging that he’d sexually assaulted multiple players. That coach, Rick Butler, was initially banned from coaching by USAV two decades ago. Theypartially liftedthe ban in 2000 before once again permanently banning him earlier this year. To that end, athletes have beenputting pressureon the USOC to take responsibility for its lax oversight of the NGBs. Athletes have actually been doing thisfor years. But for the most part, they’ve been doing it alone. Famously, Olympic gold medalist Aly Raisman, during her victim impact statement in the Nassar case,said: “I have represented the United States of America in two Olympics and have done so successfully. And both USA Gymnastics and the United States Olympic Committee have been very quick to capitalize on and celebrate my success. But did they reach out when I came forward? No.” She has nowfiled suitagainst the USOC. Last week, the USOCannouncedthat Scott Blackmun, the group’s CEO since 2010, was stepping down for health reasons, and that the committee was undertaking “additional reforms and new initiatives designed to protect athletes from abuse and [to] respond quickly and effectively when issues surface.” Despite being announced in the same press release, the USOC maintains that these two events were not linked. Blackmun’s departure, the USOC says, isnot relatedto the failures that have come to light regarding young athletes being sexually harassed and abused by coaches and other adults in positions of power. There’s no claim of responsibility, even on the way out. Hogshead-Makar and other advocates recently helpedpush through legislation requiring NGBs to report the abuse of children to law enforcement, and to create a way to report to an independent entity outside of an NGB. There are more holes to fill between the USOC and NGBs, and both the USOC and NGBs like USA Swimming and USA Gymnastics can allmake changes,starting now, to protect children who play sports. Here’s one way the future can go: More children will be abused. Eventually, there will be another report detailing high numbers of assault, lists of the adults who harm and a longer list of the adults who don’t care to do anything about it. It will all feel familiar. We’ll be outraged, shake our heads, and continue cheering on our favorite athletes. But USA Swimming doesn’t have to be a rinse-and-repeat of USA Gymnastics. It’s not enough to say this is someone else’s problem. Yes, these are the children who will become our national athletes and represent us on the international stage. But more importantly, these are children, full stop. And for them, we must reckon with the culture of silence we’ve built up around assault. Each of us ― parents, coaches, reporters and fans alike ― must start holding the people in power responsible for protecting them.